If you've ooh and aahed over the beautiful hi-res retina displays on the iPhone 4 and new iPad, prepare to have your mind completely blown by how much resolution Japan Display has squeezed into its new minuscule LCD screens. The company's managed to cram a resolution of 1,280 x 800, the same as what the new rumored 13.3-inch MacBook Pros will have, into a widescreen display that measures just 2.3 inches across. 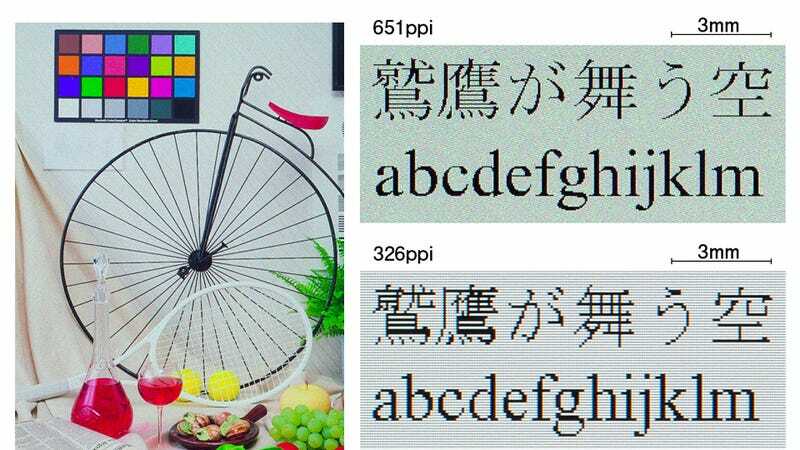 That equates to 651 pixels per inch, or basically twice the resolution of the iPhone 4's 326 ppi retina display. And with that many pixels, even the thinnest of curved lines being displayed will never appear aliased to the human eye, or even a decent macro lens. And while many will consider this much resolution overkill, even for users with a sharp eye, we'll never turn down a few extra pixels.